I brought my Rottweiler back for her one month follow up x-rays/examination after her cruciate ligament surgery ( TPLO Surgery ). 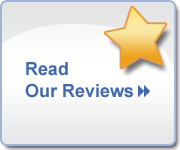 It was no surprise to find Dr. Dhaliwal and his staff so helpful and professional. As a result my little girl is healing very well and walking very well on the surgical back leg. I also want to thank my friend, Alise Morris who recommended Dr. Dhaliwal and the Michigan Animal Hospital to me. I can't say enough of the excellent treatment both Xena and myself received during this time. Dr. Dhaliwal is the best. Thanks so much for healing my dog's injury and Xena thanks you for your kindness and care, not to mention the treats! Michigan Avenue Animal Hospital is a full-service animal clinic whose mission is to provide the highest quality of veterinary care for pets. We provide friendly, informative, compassionate, and supportive services for you and your pet. Our highly skilled veterinarians and knowledgeable supportive professional staff treat your pets as they would their own. Michigan Avenue Animal Hospital is an established veterinary clinic located in Ypsilanti, Michigan. We are serving Ypsilanti–Ann Arbor & surrounding areas providing Preventive & Emergency Veterinary Care as well as Medical, Surgical, Pet Dental care, Alternative Veterinary Medicine, Boarding, Grooming. With an in-house pharmacy and access to Veterinary Specialists, our animal clinic facility offers a one stop for your pet's health and medical care. Michigan Avenue Veterinary Hospital offers a range of veterinary services that includes medical, surgical, pet dental, and alternative veterinary care. Our veterinarians provide an array of techniques so that we can provide custom care based on your individual pet's needs and conditions. The team at our animal hospital believes that the only way to provide quality care is to provide comprehensive care, as some pets may respond to traditional veterinary care while other animals will respond best to holistic care. Wellness care is also an important part of your pet's overall health. The staff of our animal vet clinic is knowledgeable and trained to offer a variety of treatment options including wellness care, senior pet care, pet obesity counseling, pet medical care, and soft tissue surgery and veterinary orthopedic surgery. Whether your pet requires routine check-ups or more advanced and special treatment, our veterinarians are trained and experienced in the latest veterinary techniques and procedures. Our veterinary hospital provides preventative services such as pet teeth cleaning, soft tissue elective surgeries such as spay and neuter surgery, vaccinations, and puppy and kitten care. We also provide advanced services such as Veterinary dermatology, Ophthalmology, Orthopedics, Soft Tissue Surgeries etc. For conditions that cannot be treated with medical and surgical care, we offer holistic veterinary care. Holistic care is helpful in controlling pain and relieving various symptoms that do not respond to regular medication. At Michigan Avenue Animal Hospital, we strive to provide a comprehensive suite of services to meet all of your pet health needs. Our qualified veterinarians are able to answer any questions you have about your pet’s condition or any of the advanced services that we offer. We have a number of resources for you to learn about how to take better care of your pets. You can browse around and look at pet health care information tab under info. The best veterinary care for animals is ongoing learning experience. If you want to ask a question call 734-482-8171 and we'll promptly get back to you. Our Ypsilanti veterinarian office is very easy to get to, and you can find directions on our Contact Us page as well. In between your veterinary hospital visits, your pet will benefit from you reading these free informative articles. Dr. Dhaliwal, Dr Birchler and the whole professional team at our full service animal clinic are here to make your experience the best it can be. We'll treat your pet just like we would treat our own with love, expert knowledge and deep compassion. 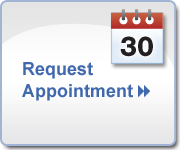 Call us at 734-482-8171 for an appointment today. Love Dr Dhaliwal and staff! My sweet 14-year old, Thelma had an infected/ulcerated eye; her pupil was damaged, and an ear infection. I got an appointment to have her seen very quickly and thanks to the excellent care she received; her eye and ear are all better!!!! I was really worried as my mother's dog had a similar problem with terrible results (a vet clinic in Grosse Pointe); where the poor dog ended up losing her eye. Michigan Animal Hospital provides excellent professional and compassionate care. How can I tell my pet is sick? How can I help my veterinarian to diagnose my pet's illness? How can I Know what are possible tests my pet may need? How can I know my pet needs emergency attention? How can I help my arthritic dog? About two weeks ago I brought my english bulldog puppy(Oscar) in to see Dr. Dhaliwal. Since having been turned away by numerous vets because no one wanted to perfrom the surgery on my little puppy Oscar because of little to no experience with a salivary gland surgery. Dr. Dhaliwal has done this type of surgery before and was able to help Oscar. His staff was very kind and courteous and treated Oscar as if he was their puppy. I wanted to say thanks for everything and I would without a doubt be coming here for any of Oscar's veterinary needs. Anthony Mach December 2012. Michigan Ave Animal Hospital serves Ypsilanti, Ann-Arbor, Belleville, Van Buren Township, Canton, Milan, Saline, Pittsfield Township, Chelsea, Jackson, Dextor and Surrounding areas.